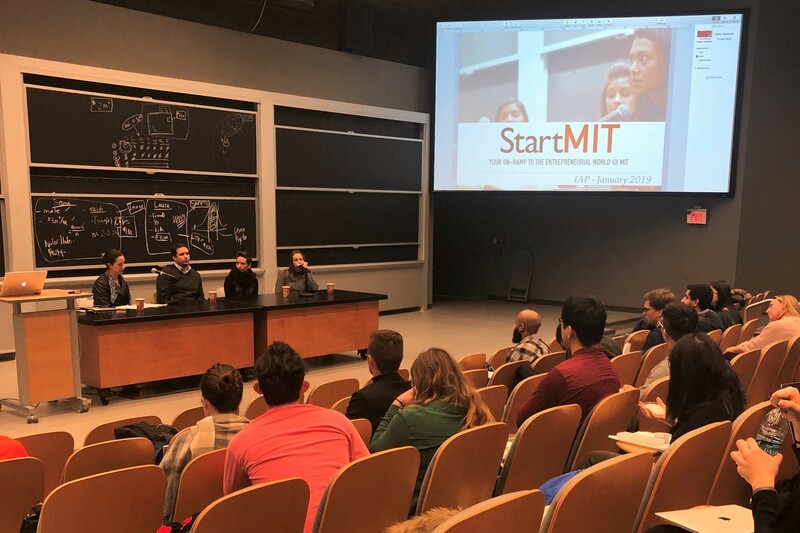 Neurala COO and Co-Founder Heather Ames joined Clara Vu and Louis Perna at MIT to give insight to students on what it takes to be a successful entrepreneur. The panel was part of MIT’s StartMIT course which aims to educate the MIT community on ventures in entrepreneurship. Heather Ames on finding Neurala’s “space” in the AI world: We started early enough that we were one of the only ones there. We develop more of a personal AI approach. We want to bring AI into the hands of engineers, and expand the number of AI experts worldwide. The panelists were then asked to touch upon growing pains of their respective companies and how their teams have evolved. Heather: Things don’t always go as planned. The government shutdown is a perfect example. It's not something a company can really plan for, especially when dealing with government contracts. Unique problems like the shutdown call for unique solutions. Clara: Understanding your customer is important to address these growing pains. It's about understanding where you need to innovate and where you don’t need to innovate. Some technologies may seem primitive compared to Linux or Python programs but the consumer knows how to train it that way. Listen to the consumers and clients. After the initial questions were answered, the floor was opened up to the students to ask questions. The first question was specifically aimed at Heather and Clara about balancing being mothers and Co-Founding a startup. Heather: It is hard, you have to give up your pride and ask for help. But being a mother and having a family makes me a lot more human to my employees, it adds to the company culture. Overall, it is important to develop a diverse and flexible workforce. Clara: We tend to have ideas of how things are supposed to go. You figure out how to manage. You just figure it out, don’t be hard on yourself. Louis: If you are starting a company take into account people's personal lives. The final question directed at the panel asked them to explain how important it is to have prior entrepreneurial experience before starting a company of your own. Heather: Prior experience is important, but it is also important to have that drive, that fire in your belly. Don’t ignore it because of lack of experience. Just do it. Set goals and strive to achieve them. Louis: Fake it till you make it. Roll up your sleeves and do what needs to be done until you can hire someone to do it for you.